Click on Save Settings after making the changes. note. 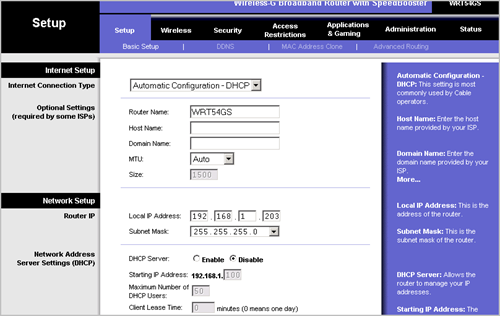 your settings could be different, but just make sure you enter a local network IP address for local IP, and disable DHCP server. otherwise your router won’t work.. also don’t forget to plug-in the Ethernet cable on the router on one of the LAN ports, not the WAN port, otherwise you won’t be able to connect using the new IP address. 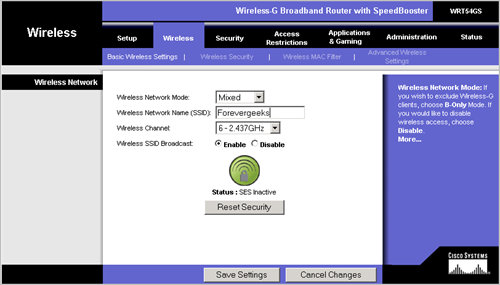 Wireless Channel: Leave the default if you want, otherwise change it to something else. 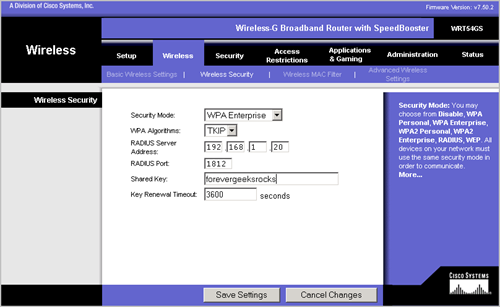 Wireless SSID Broadcast : Enable Click on the Save Settings after making the changes. Shared-key : enter your shared key here. 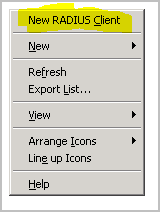 click on the Save Settings button after you finish changing the settings. Now, that we have setup the Linksys router, we need to configure the Internet Authentication service to talk back to the Linksys router. 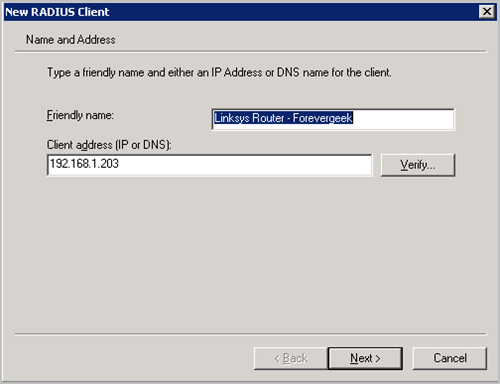 as Friendly name type something easy to identify for you, and for Client Address ( IP DNS ) type the IP address of the Linksys router. 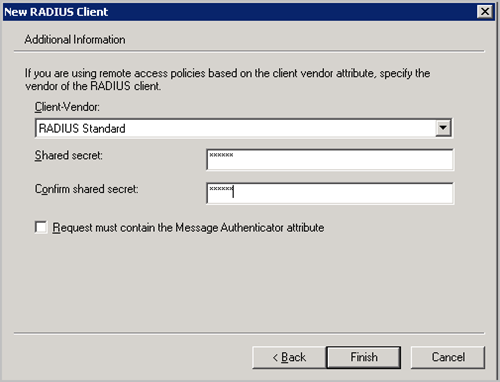 on the next screen, select Radius Standard on the Client-Vendor option. enter the Shared secret key. this key is the shared key we entered on the Linksys router wireless security window . 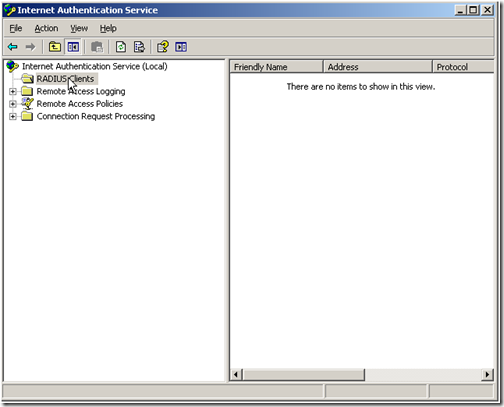 make sure the option Request must contain the message authentication attribute is unchecked. click on the Finish button after you have entered all the settings. 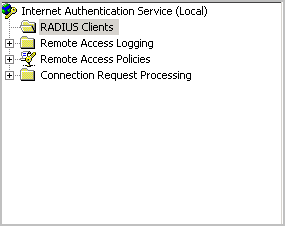 that’s it, that should take care of the radius server and the router communication. 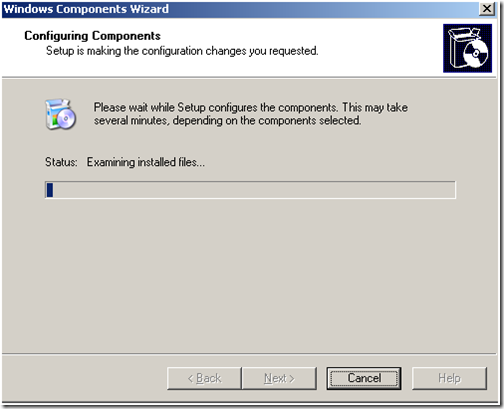 on the next post we will setup the group policy to authenticate our domain users.